"We’re constantly looking at ways to visually create emotional journeys within our work, places you feel you’ve been in your dreams"
Hot on the heels of their Spellbinding short with Iris van Herpen for AnOther Magazine’s MOVEment project, filmmakers Warren Du Preez and Nick Thornton Jones are back with their next creation. 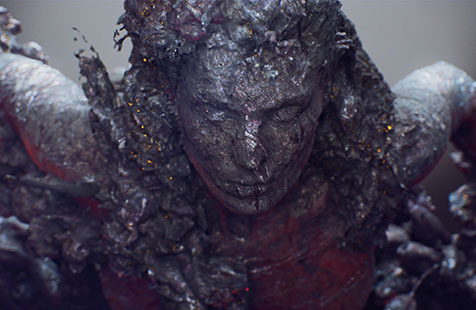 Transforming Celine campaign girl Daria Werbowy into a primordial goddess rising from and returning to the earth, the CGI-powered film explores ideas of nature, birth and death. Conceived for Creative Review’s Annual Creative Awards where it was premiered this week, it’s the cinematic partner to the magazine’s Annual edition cover, shot with 100 cameras simultaneously to create a 3D scanning rig. Here, the visual alchemists – who have also worked with the likes of Bjork and Alexander McQueen – talk us through the shoot. What were you trying to explore with the film? 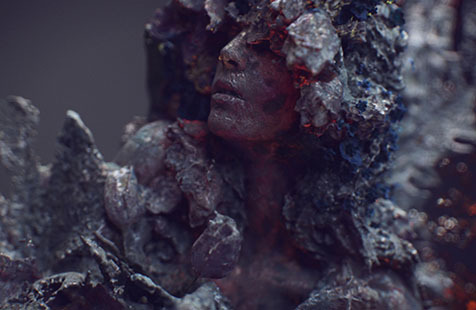 Warren Du Preez and Nick Thornton Jones: The concept was based on creating a visual metaphor for creativity and transformation loosely based around beauty, nature and the female form. Bringing to life ideas of growth and decay, birth and death. How many hours of work goes into something like this? Warren Du Preez and Nick Thornton Jones: The capture side of the project was a one day shoot in Holborn Studios London with FBFX Digital scanning, Frank Benhamou styling, Rebecca Louise Law creating floral installations, Raphael Salley on hair direction, and Ninni Numeral on makeup. 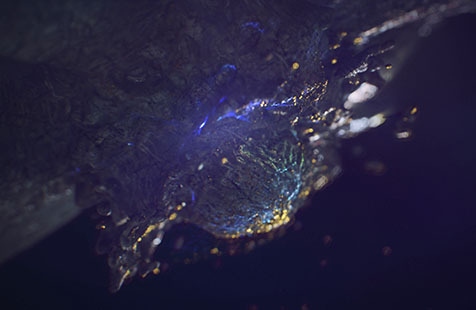 An original music composition by Salvador Breed and Stijn Van Beek took a couple of weeks, as did the editing by Steve Ackroyd at Final Cut London. Literally hundreds of hours were spent working in CGI with ANALOG STUDIO on animation, materialisation and compositing to create the final piece. What are the ups and downs of working with CGI? Warren Du Preez and Nick Thornton Jones: Anything is possible, realising things you only imagine, crafting something that feels like it has resonance and touches you, and bringing visual emotion to a binary code. But the biggest challenge is TIME – never enough time! It would be great to invent a CGI time machine. We love the freedom of CGI, we’re constantly looking at ways to visually create emotional journeys or experiences within our work, places you feel you’ve been in your dreams. The chaps we worked with at Analog on this piece share that vision, which is rare in our opinion. What do you think is the future of fashion film? Warren Du Preez and Nick Thornton Jones: To grow and evolve and be funded a bit more to embrace bigger ideas. Fashion film started off as a shaky medium in our opinion, but over the years it’s gone from strength to strength. 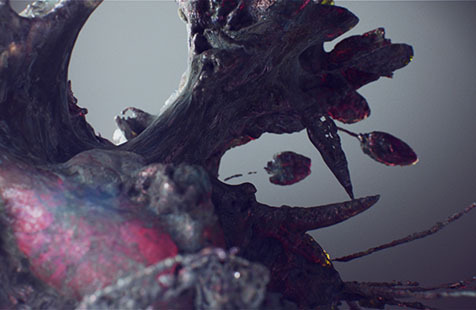 A good example is the new MOVEment Project by Jefferson Hack, it’s about a great idea rendering a great result. Collisions and intelligent commissioning – that’s the future. Why was Daria the perfect muse for this project? Warren Du Preez and Nick Thornton Jones: The perfect collaborator and inspiration – Daria’s spirit and open-minded trust to a vision allowed us to explore dreams and visual metaphors for creativity.